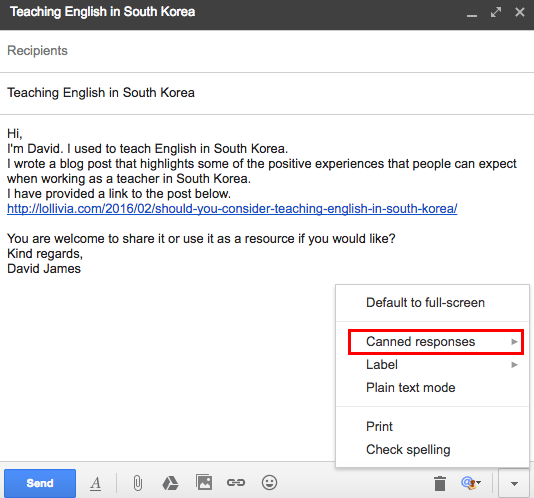 Home » Blog » Scale your white hat SEO outreach efforts by using Canned Responses in Gmail. When you have content on your site that delivers value to your target audience, you want to scale the promotional activities as much as possible. You don’t want to spam people with things that aren’t relevant. 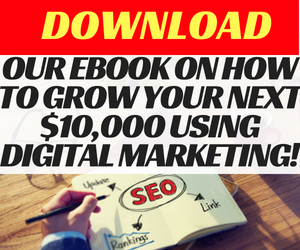 But you do want to create an opportunity to get your links published on their website. One of the ways to speed up the process is by using a template pitch email, which you can easily customise when reaching out to link prospects. Instead of spending 5-15 minutes trying to craft the perfect email, you should be able to send the email within 1-3 minutes. As a rule of thumb, the conversion rate for acquiring links from outreach activities is around 2%. That means for every 100 emails that you send, you should acquire 2 links to your site. If you spend 5 minutes writing an email, you will end up spending 500 minutes sending 100 emails. This equates to just over 8h worth of outreach activity, which is approximately 1 days worth of work in order to create the opportunity to get 2 links. By using Canned Responses in Gmail, you could effectively spend 2 minutes or less per email, which will allow you to reach out and scale your white hat link building activities. 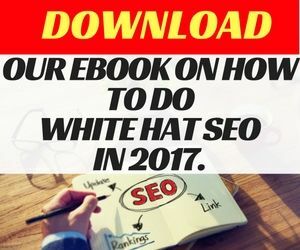 Over the same 8h period, you would be able to reach out to over 200 prospects and thus improve your site’s chances of acquiring relevant links. You can activate Canned Responses by going into your Gmail settings. 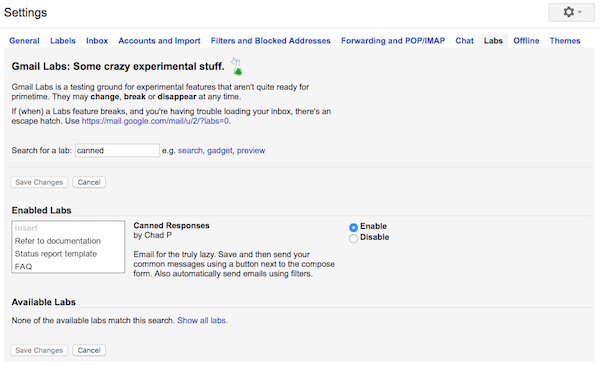 Canned responses in labs in Gmail settings. 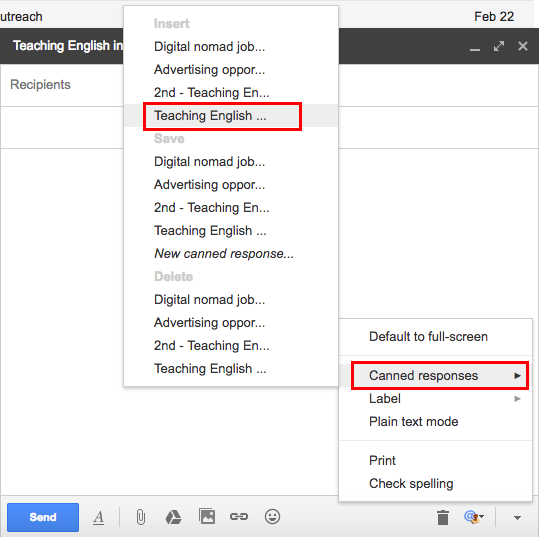 Once you are in your Gmail settings, look for Canned Responses and click “Enable”. Once you have done that, you can go into your Gmail account, create a new email and then save the pitch email as a “Canned Response”. Once that’s done, you can then open a new message and call the Canned Response. Select a canned response email. You can also watch the following video that shows how you can use canned responses to scale your link building efforts. 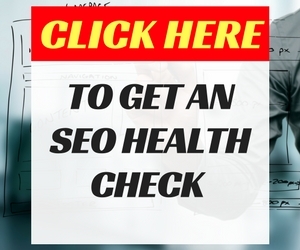 I’d love to hear how this can help you with your SEO outreach efforts. Let me know in the comments section below.